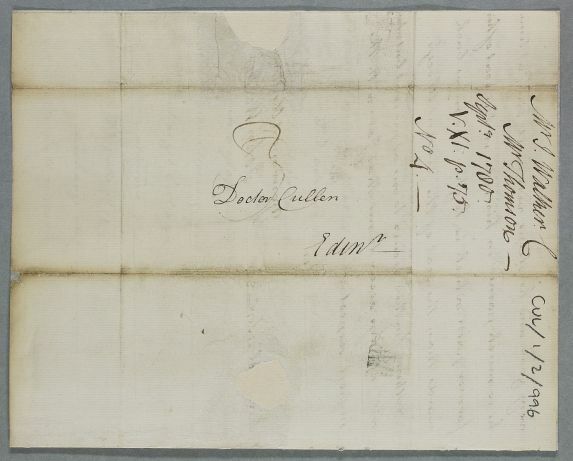 Letter from John Walker, concerning the case of Mr Thomson, who is thinking of wintering abroad, possibly in Madeira. He is still thin and has a pain in his side. 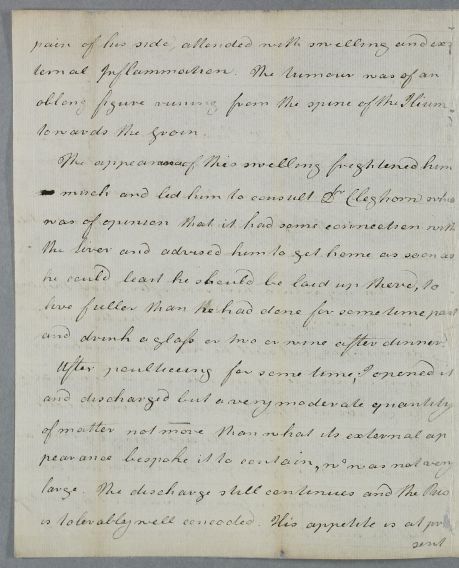 On a recent trip to Dublin, via Liverpool, he has developed an abcess on his side, which Dr Cleghorn and Dr Walker have treated. 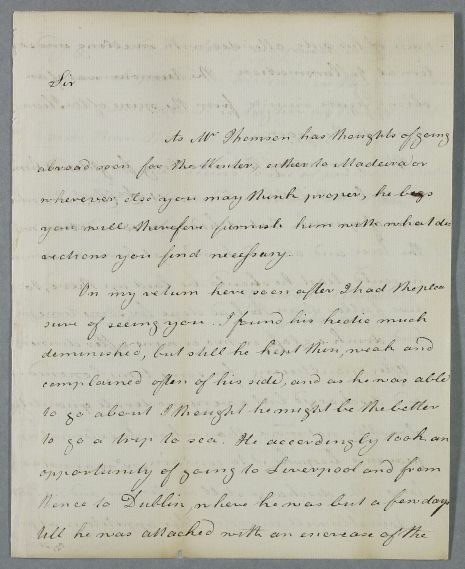 Summary Letter from John Walker, concerning the case of Mr Thomson, who is thinking of wintering abroad, possibly in Madeira. He is still thin and has a pain in his side. On a recent trip to Dublin, via Liverpool, he has developed an abcess on his side, which Dr Cleghorn and Dr Walker have treated. 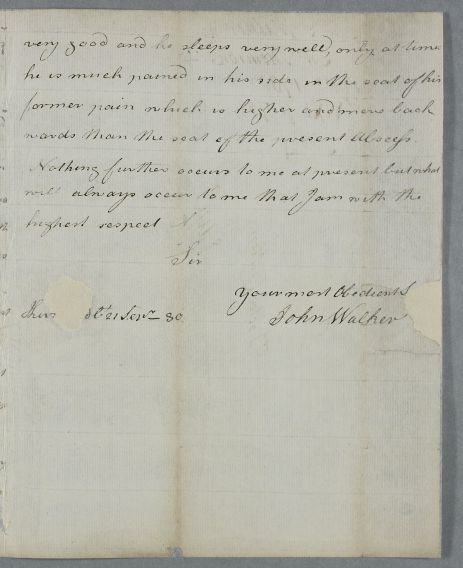 Case of Mr Thomson (under care of John Walker) who suffers a severe hectic fever with diarrhoea. and drink a glass or two or wine after dinner. wards than the seat of the present abscess.